I have been following the development of the Efneo Gearbox for Strida for the last six months. A friend Chris, a regular contributor to the Strida Forum, brought it to my attention. Chris worked closely with Efneo to develop the Efneo Gearbox for Strida kit. 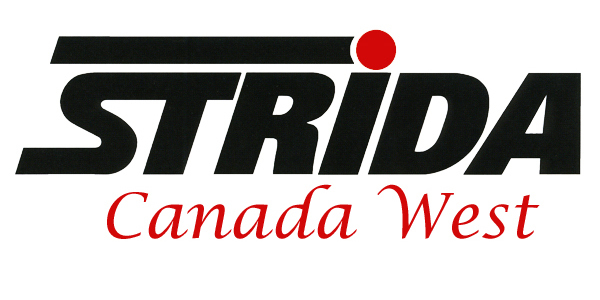 Chris’s posts to the Strida Forum can be found here. The Efneo GTRO three speed gearbox is designed to fit into a standard bicycle bottom bracket. A kit has been developed to add the excenter and belt wheel needed to adapt the GTRO to the single speed Strida. The Efneo belt wheel has 80 teeth which is smaller than the standard Strida 100 tooth belt wheel. The standard Strida 1440 mm belt is replaced with a shorter 1360 mm belt. The gearbox design is a planetary design that spreads the load over several gears. This design is lighter and possibly stronger than the Strida Sturmey Archer EVO gearbox. The Strida gear ratios are dependent on which wheels you have mounted on your Strida and the ratio is also dependent on which tires you have mounted on those wheels. This is because there can be a big difference in the diameter of tires which fit the same wheels. 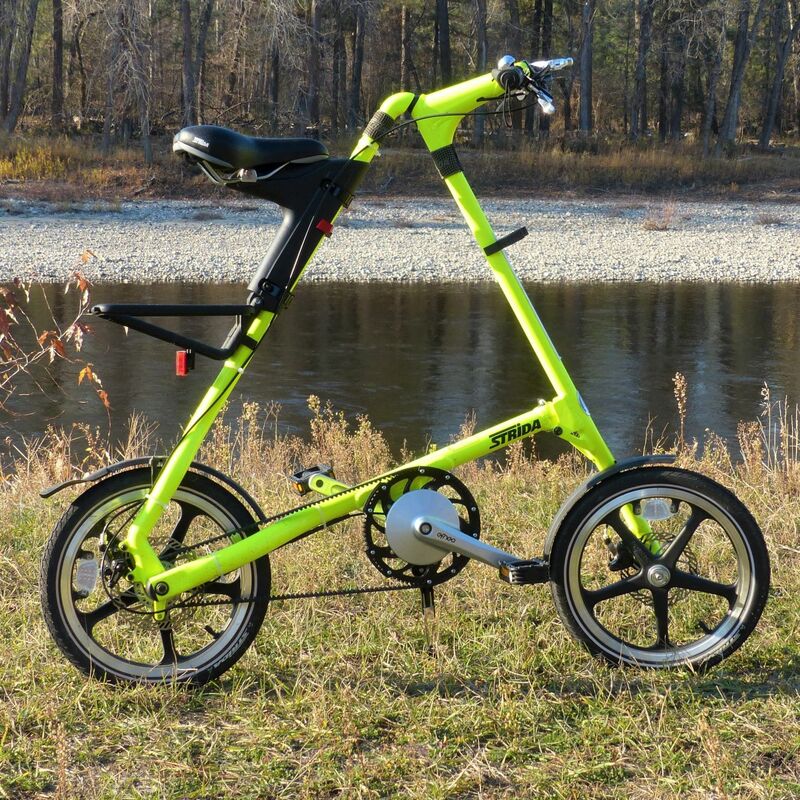 The following information is borrowed from the Strida Forum. Using 16 inch 1.5 tires. My first ride was around my neighborhood. The gearbox shifted smoothly and it felt good. Low gear is a direct drive and it felt very good. Up shifting from first to second and third was very fast and positive. Down shifting with the rapid fire shifter I installed took a little bit of practice until I mastered it. This shifter did not fit the standard Strida handlebars. I will order future gearboxes with the grip shift option. After this short 4 km ride I was ready for more. I have a favorite hill climb that I used when I received and was testing the first EVOs, it is detailed in this blog post. I stopped climbing this hill when I realized that I was stronger than the EVO gearbox! So I headed up Hardy Mountain, a hill I haven’t climbed for a few years and surprised myself. 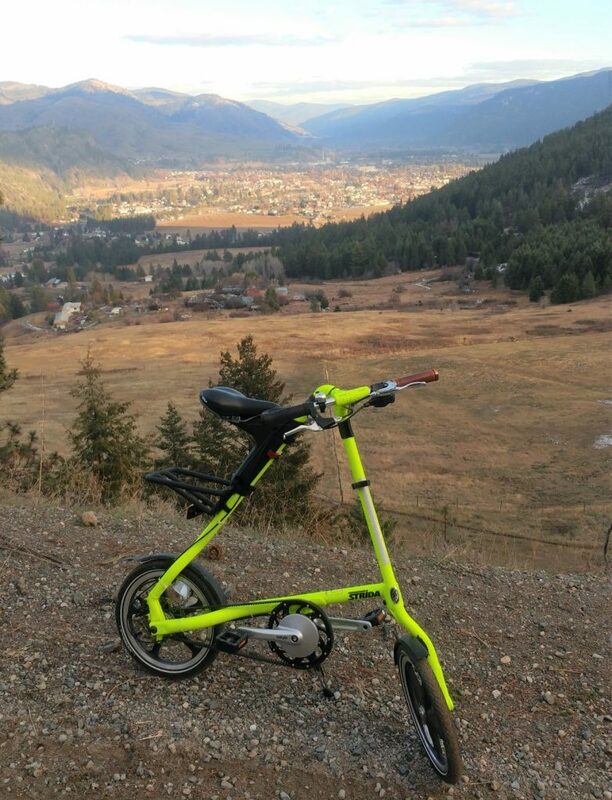 With the Efneo gearbox for Strida installed in a Strida Lt I was able to climb 207 meters. According to my Strava app and earlier rides the distance is 2.8 km with the some of the grades over 20%! I was pleased with the gearbox and surprised at my level of fitness. I haven’t ridden much this Fall and have just returned from two weeks in Italy, eating lots of pasta, pizza and gelato! My second ride was the longer tour of my valley ride that I use for a scenic but fast work out. In the summer with a EVO equipped with 18 inch wheels I can average better than 24 kmph during this 24 km ride. With the Efneo equipped Lt with 16 inch wheels on a cold Fall day I averaged 20.5 kmph. I am going to mount 18 inch wheels on this bike and try again. My Strava ride can be seen here. I was pleased with the 20.5 kmph on the small 305 16 inch wheels, third gear does have a faster gear ratio than the EVO. The Efneo drive is fairly easy to install. There are online instructions and videos available. This material is for installing a Efneo drive in a standard bicycle bottom bracket. Because the Strida is different, I am writing instructions that will help people install the Efneo gearbox in a Strida single speed bottom bracket. This installation instruction will be contained in a separate post. The first production of the Efneo gearbox have all been sold. Efneo have told me that they are moving future production to another manufacture so next available supply will be early Spring. The cost of the new Efneo drive is 675.00 Canadian dollars. Included is the 80 tooth beltwheel and a 1360 mm Strida belt. I recommend a grip shift for the Strida standard handlebars, the rapid fire shift may fit the Strida bent handlebars. The Efneo drive for Strida has the correct length of cable installed. Please contact me for more details. Winter is coming but I did have one more day to try my favorite hill climb, Hardy Mountain. The Efneo in low gear feels very good. 241 meters climbed in 3.4 km, yes if you check there are grades over 20%! You can find my Strava ride here.